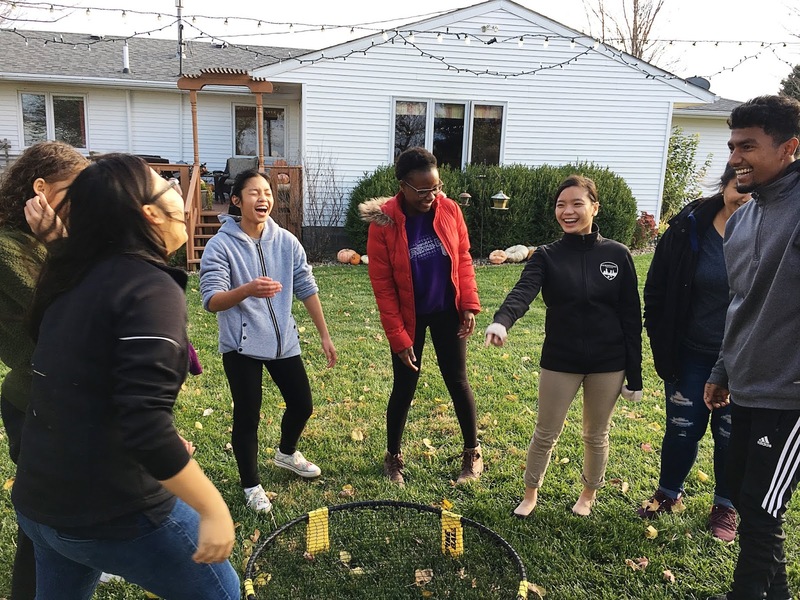 It happens every fall ... we gather up students and drive to a beautiful country home on the edge of Omaha for a Cru Harvest Party! 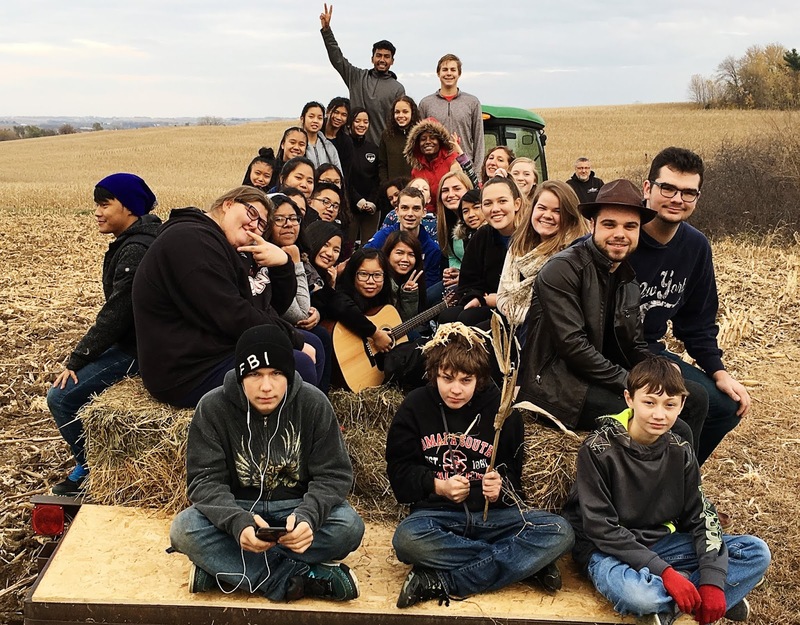 An amazing couple from our church opens up their spacious place for students to escape from the city, and enjoy a taste of country for fall fun and inspiration. This year some of the students from four of our Cru area campuses gathered together on Friday evening, Nov. 2nd. They came from Central High, North High, South High, and Fort Calhoun High. It's always a treat to get students together from our various Cru campuses. The evening started out with various yard games, and also included several hayrides ... one while it was still daylight, and also another after the sun had set. We also roasted hot dogs and s'mores during the evening. For some of our international students, this was a first experience of this kind! After the games and food, students gathered around the campfire to hear from our guest speaker, Damian, from Sicily. 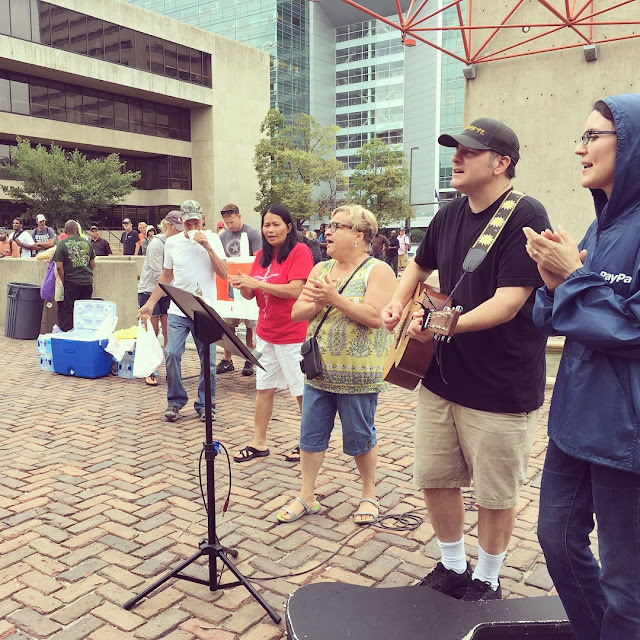 He shared his story of overcoming addictions, and coming to know Jesus personally. Students were challenged and encouraged with his story. It was a cold night, weather wise ... colder than usual for this event. 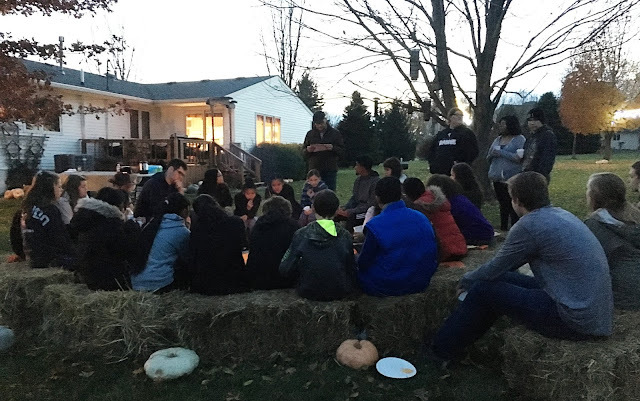 But the games and food, the warmth of friendship around the fire pits, and the light of God's awesome and powerful love shared together, filled us up and made a lasting impression. 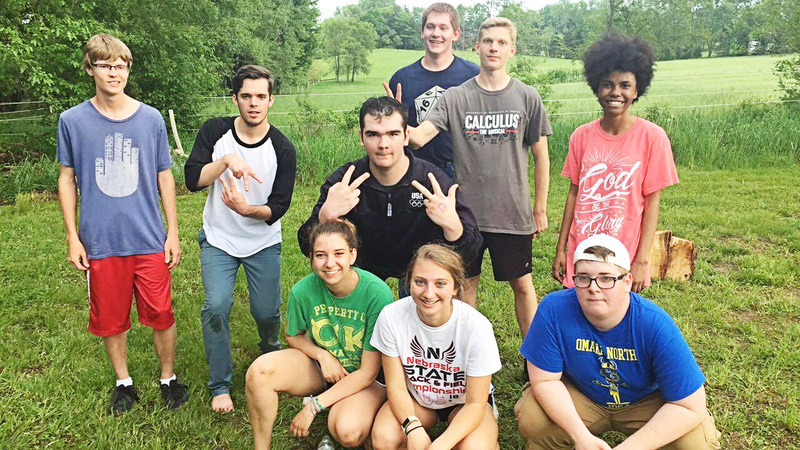 Please pray for these students as they continue to learn and grow in their faith and in their friendships on their various campuses throughout the rest of this school year. Several years ago, God drew me (Gary) to search out the location of an Omaha inner city high school that I knew about but that wasn't on any of the major streets of the city. As I drove into the parking lot one afternoon when school was just getting out, around 1,500 racially diverse students were pouring out of every door into the parking lot, milling around and piling into waiting school buses and parents' cars. God gripped my heart deeply as the words of Jesus came to mind, 'they were like sheep without a shepherd'. I prayed through tears that God would allow us to bring Cru to that campus. 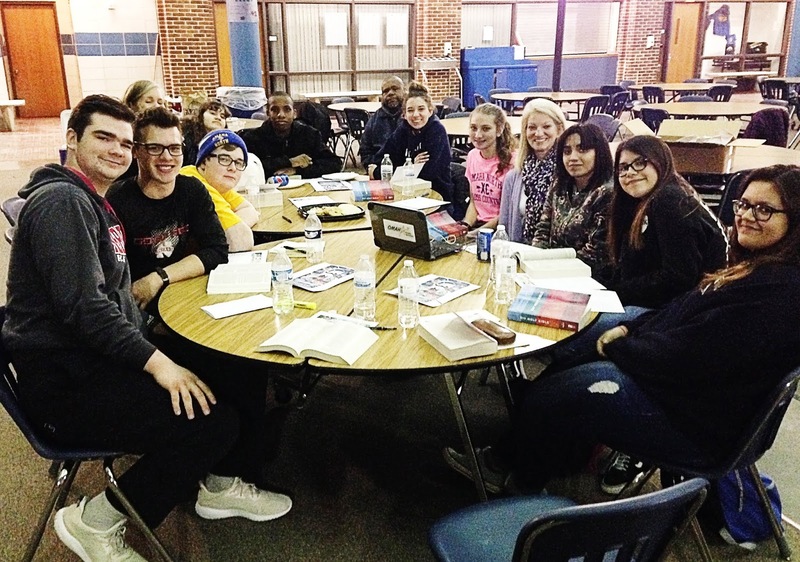 A few years later, several teachers at that Omaha North High campus began gathering for prayer weekly before school to pray for God to do a work on their campus. About the time school was starting last fall, I was contacted by Phil, the outreach pastor of Citylight, who sensed God's leading to reach out to area high schools with the gospel by bringing in a former NFL Running Back, Wm Green, now an evangelist. 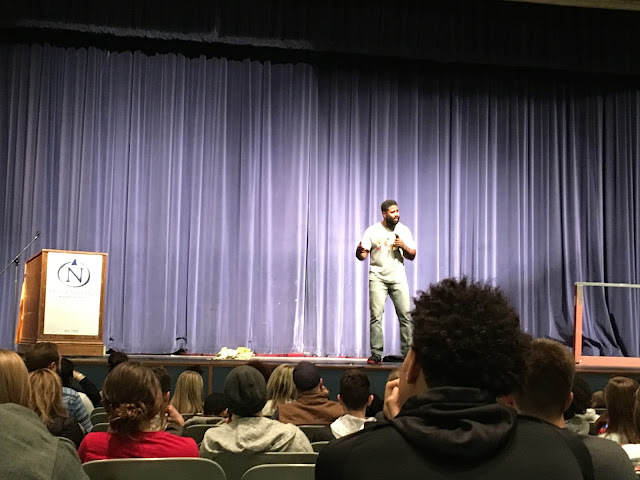 The plan was to get him into high schools to share his dynamic story at school assemblies during the day and have an evening outreach where students could return and hear the rest of his story, which would include the gospel. Phil knew of my contacts with Omaha high schools so he contacted me for help. 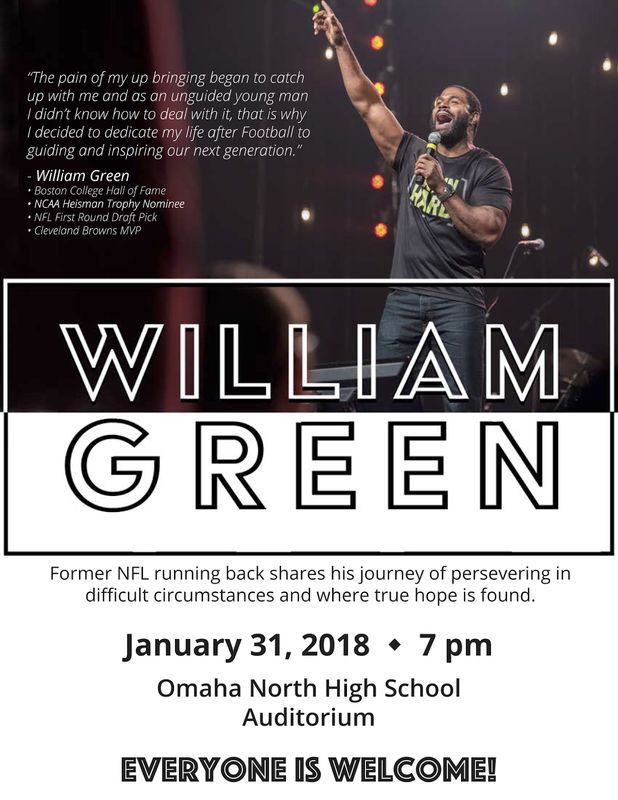 This began a cycle of events where in February last winter, Wm Green spoke in three area high schools and at an evening outreach at Omaha North High with 30 students praying to trust in Christ! 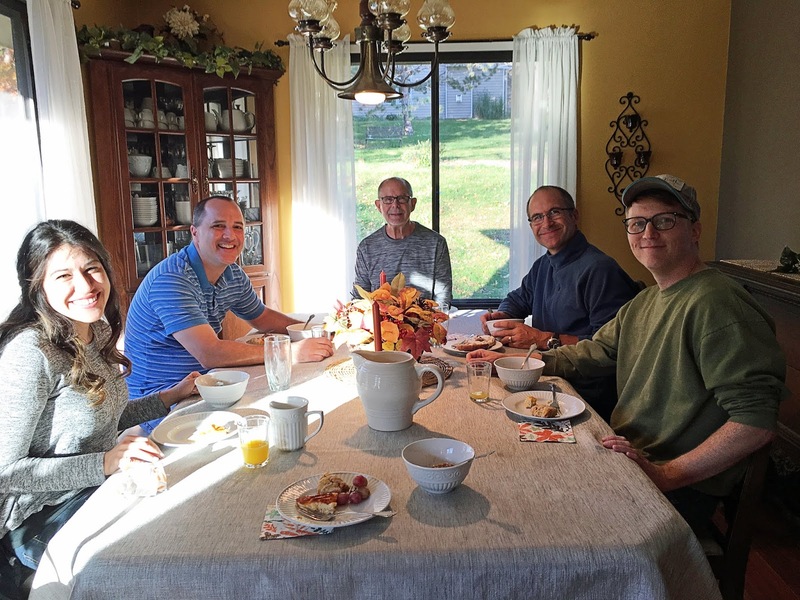 This resulted in an opportunity to start Cru at North the following week, with the help of several of the teachers there who had been meeting for prayer for several years, and also with Tim's help, our key student leader there at North! 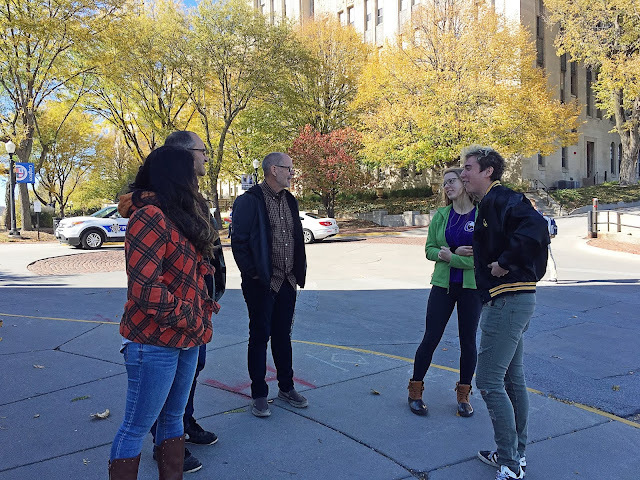 As we met weekly for the rest of the spring semester, Tim's energy for seeing God work grew and he began taking more and more leadership motivating and encouraging others. 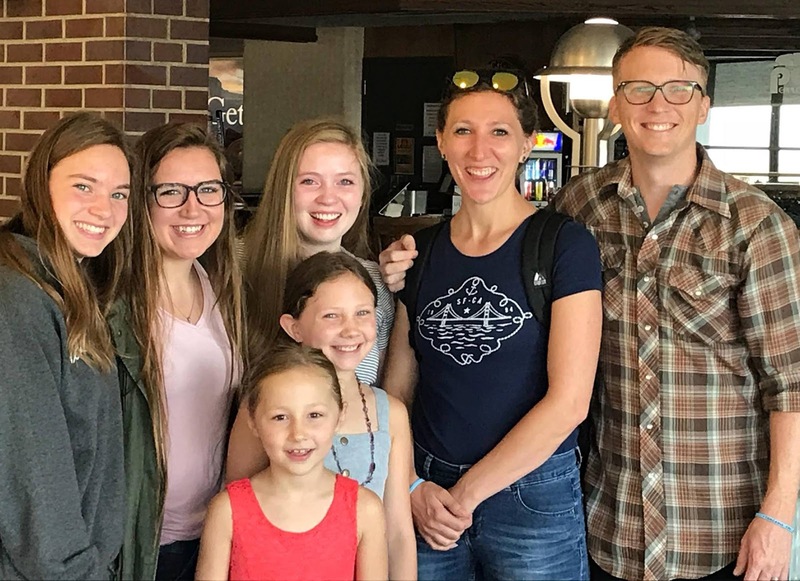 In June, we made it possible for Tim to attend Cru's Summer Conference in the Rockies, where his passion to reach his peers skyrocketed and he avidly soaked in Cru's training to share his faith. And now he is so ready to do so on campus this fall as he starts his senior year there. 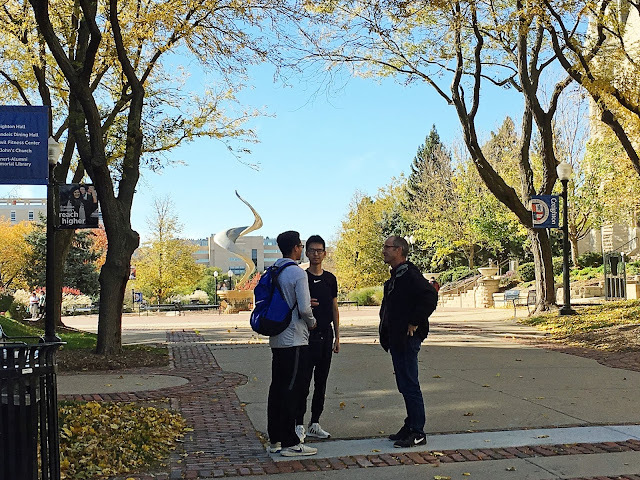 As we were writing this post, Cru students and teachers were inviting North High freshman to Cru North at a Cru booth on the first day of school! Fifty students signed up at the booth, indicating interest in coming to a Cru North meeting! 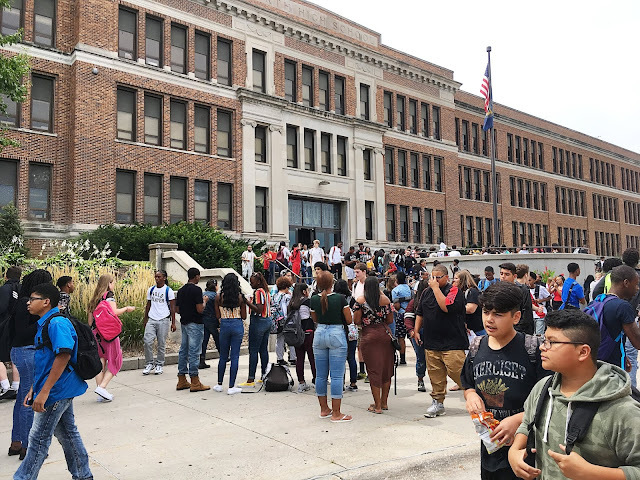 God has made it obvious to all of us that He has definite plans to do a significant work in the lives of Omaha North High students. Please pray that all that He has planned will become a reality! 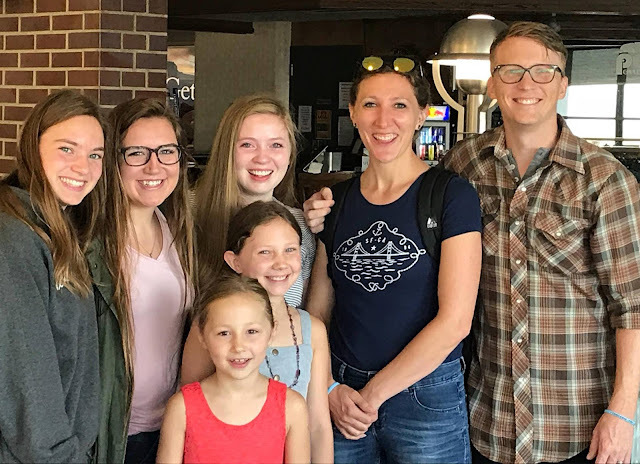 Summer 2018: an opportunity for a month-long mission focus for three of our students from Cru Omaha, and for Jake & Chelsea (Cru staff) and their two daughters. On June 27 these seven boarded an airplane in Omaha, and flew to Chicago, where they met up with three other Cru staff members, and thirteen other college and high school students from across the country. Together, they took a 23-hour journey to Arusha, Tanzania. 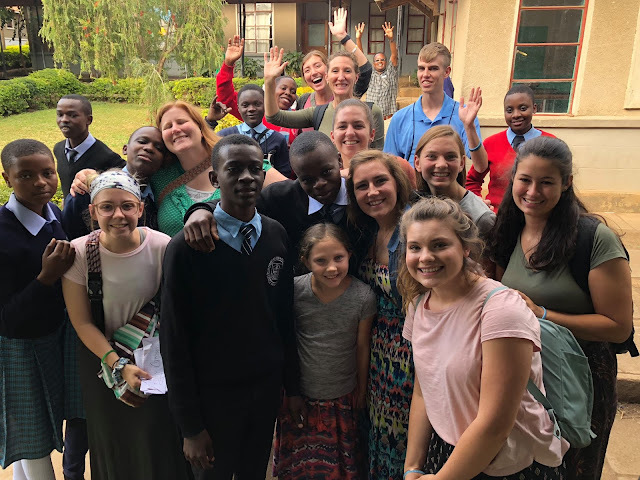 They found that there was much to do as they went as a team to many schools - sharing about character building, and providing training on various life skills through teaching, skits, and examples from their own lives. They also had the amazing opportunity to share the Gospel in the schools during the assemblies. 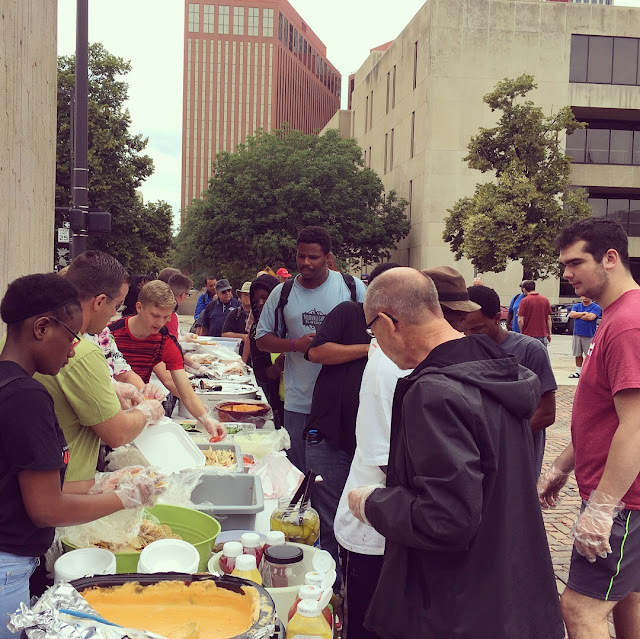 Jake shares, "We saw God work in the lives of the students in the city. Our team went to 12 different campuses. 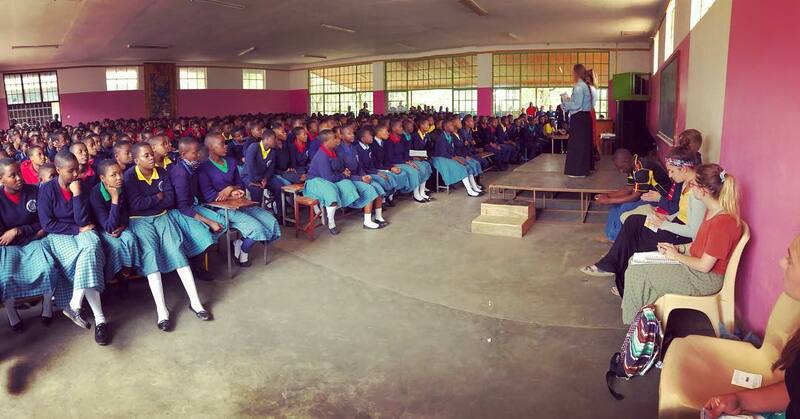 We presented the gospel to 9,138 students in large groups and to 22 students in one-on-one conversation. 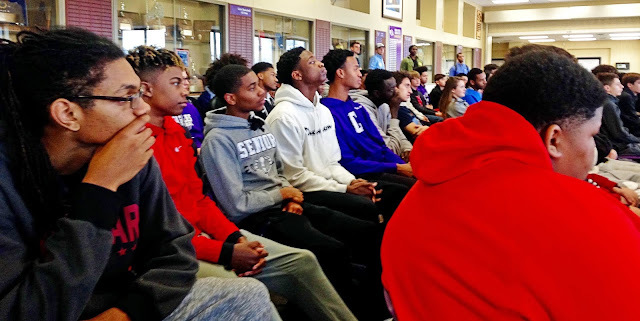 We had 2,168 students indicate that they prayed to receive Christ either on comment cards after group presentations or by praying together with a member of our team. We also engaged with 486 students in spiritual conversations after presentations. 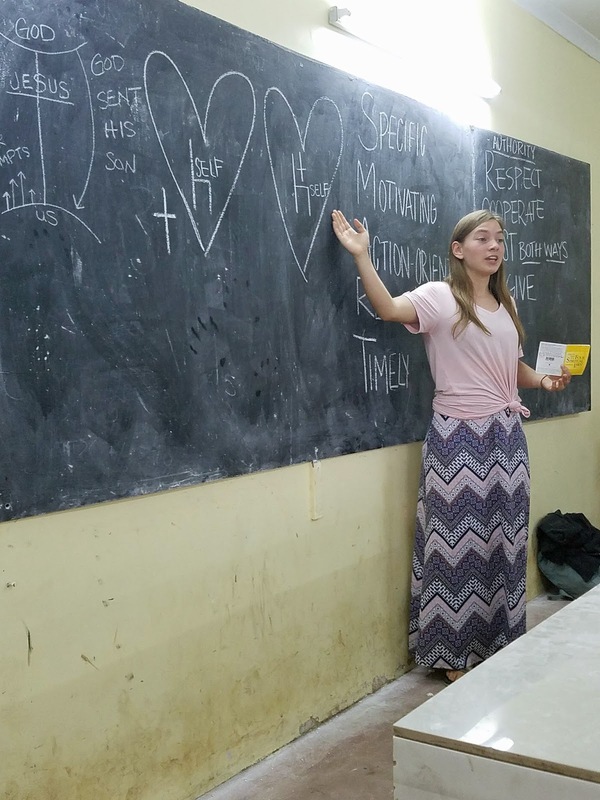 We answered questions students had about the gospel and living the Christian life." 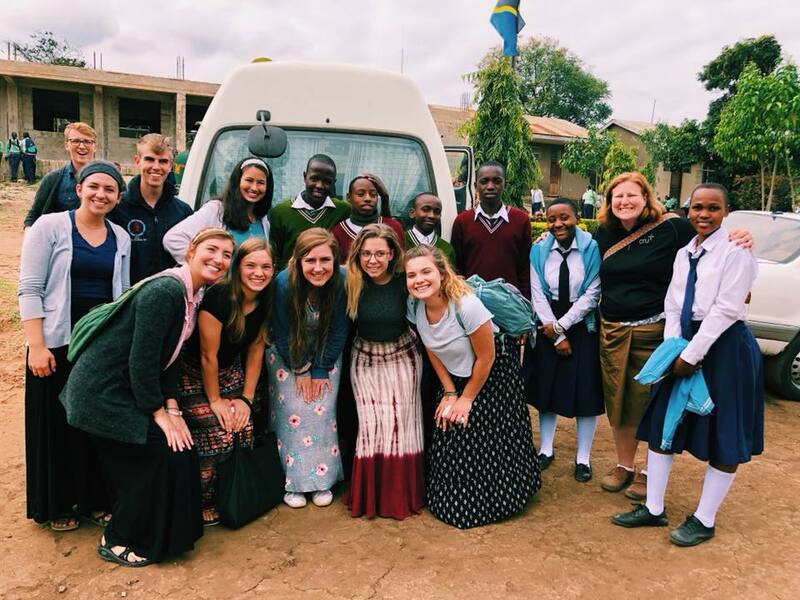 The four weeks made a huge impact on students in Tanzania, and also on the team. 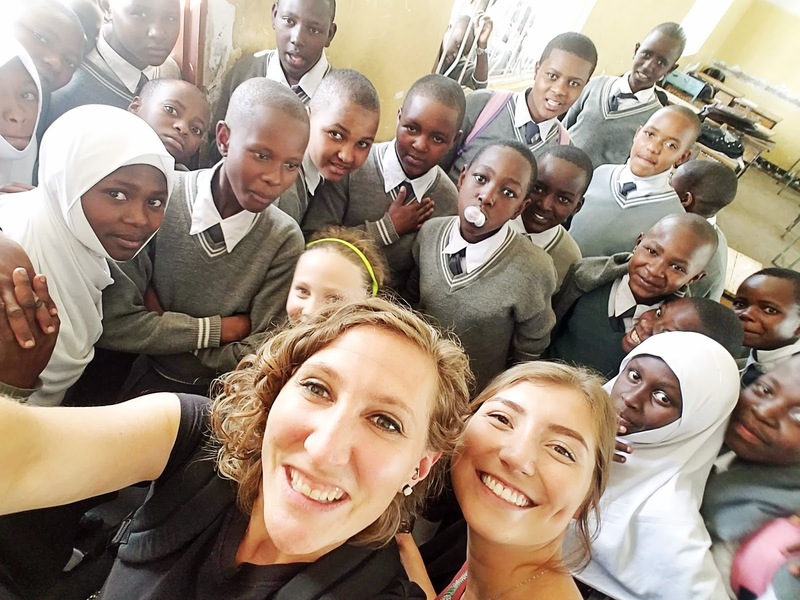 What began in the lives of both the students of Tanzania and the team will continue on. There is much to pray for! Jake shares, "Please continue to pray for the new believers in that city. The harvest is INDEED plentiful, but the workers there are few - ten actually. There are only about ten active volunteers with Life Ministry in Arusha (Life Ministry is the name of Campus Crusade for Christ in East Africa) and they have a LOT of new believers to contact as we passed student contact information on to them. Please, pray for those volunteers and the new believers. Pray for divine appointments for discipleship. Pray for the Lord's work in that city." And also, please pray for the team as they have returned back to the U.S. on July 29th. 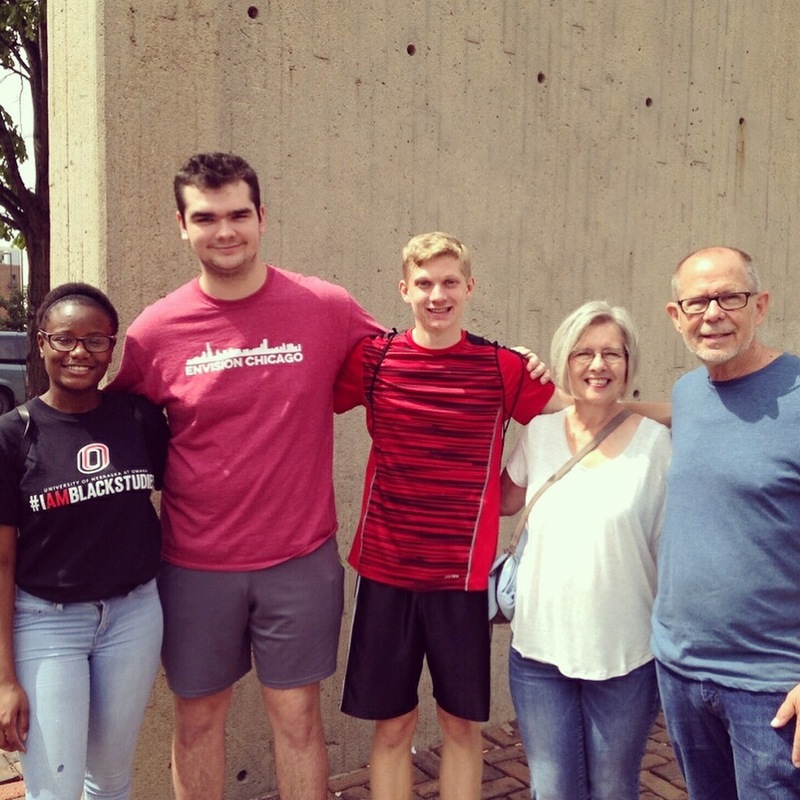 They saw God create a strong bond between them as they served, and they learned much as they learned more and lived out the gospel individually, as a team, and as they served others. 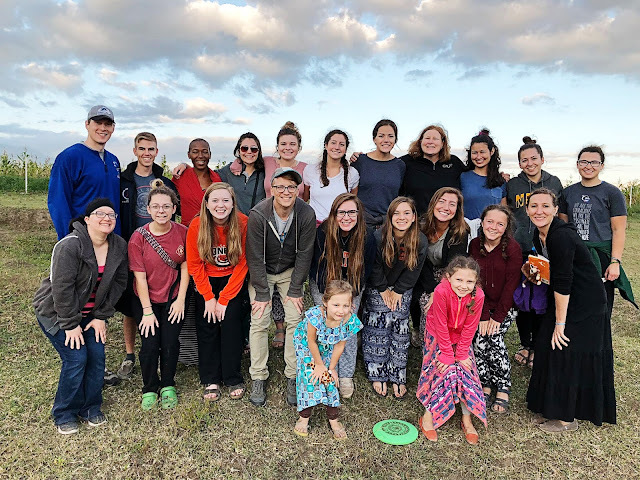 They will always remember all that God did while in Tanzania, in bringing many students to know God, and also in what He did in their own lives individually and as a team. 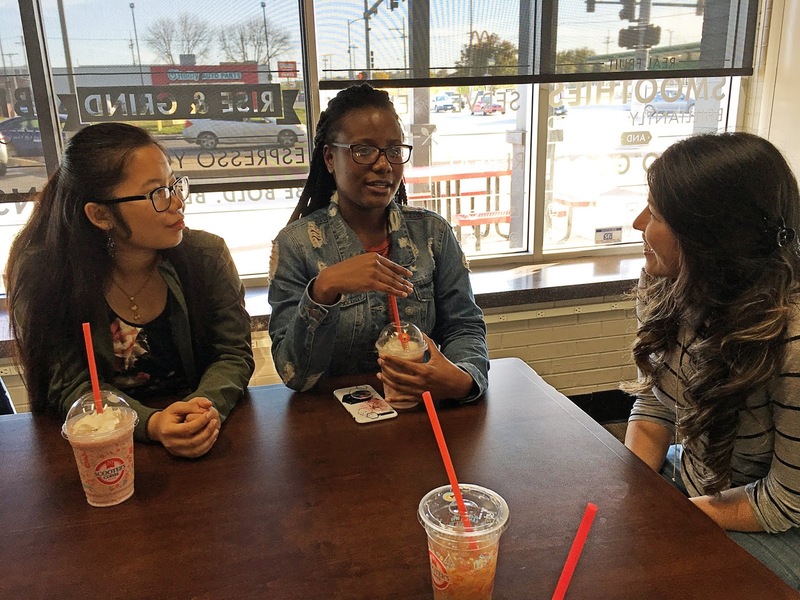 Students have been meeting throughout the summer in Omaha, and also in Washington County to be discipled and grow in their faith. 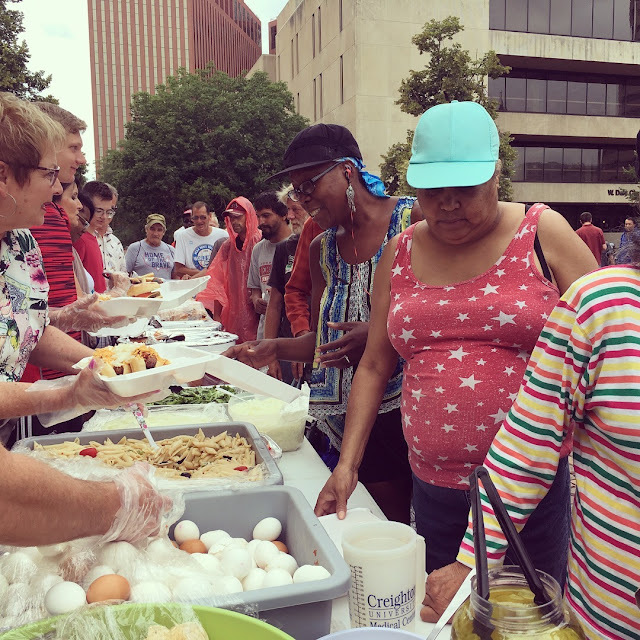 And on Wednesday, July 25, a few of them gathered in downtown Omaha to help with a weekly lunch event provided for the homeless of Omaha. about 175 of Omaha's homeless. every week of the year. for our students, and for us. The summer is flying by, and schools will be starting up in just a few short weeks from now. Please pray for us as staff as we meet with our volunteers, and students leaders, making plans and praying for another school year. We're also finishing up with the Cru Summer emphasis, as well as welcoming back staff members Jake & Chelsea, and some of our students who went on a month-long mission to Tanzania, Africa, with other Cru students from across the U.S.
Summer Conference in the Rockies of Colorado is always a highlight for the students who go! 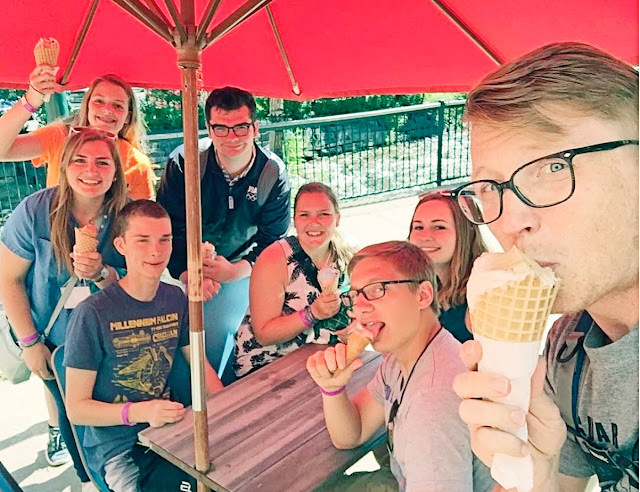 In mid-June, Jake (staff member) took a group of students from our area to attend this Cru Summer Conference for high school students. 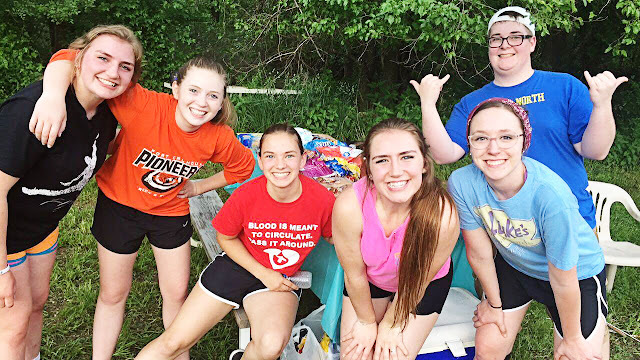 Our students represented two area campuses ... Cru Fort Calhoun, and Cru North. far more than I ever could have imagined. My faith has been dramatically revitalized and transformed. and I don't think it's going away anytime soon!" Please pray for these students as they continue to grow in their faith, and as they make an impact for Jesus on the lives of their peers. Schools are out, and summer is here! And ... Cru Summer is here! A change of pace from the weekly student meetings on each campus during the school year ... but a continued gathering of students! In our Cru Omaha area students are gathering in two locations throughout the summer: in a Scooter's coffee shop meeting room in Omaha, and in a student's home in Washington County. Held on an acreage between Omaha and Washington County! 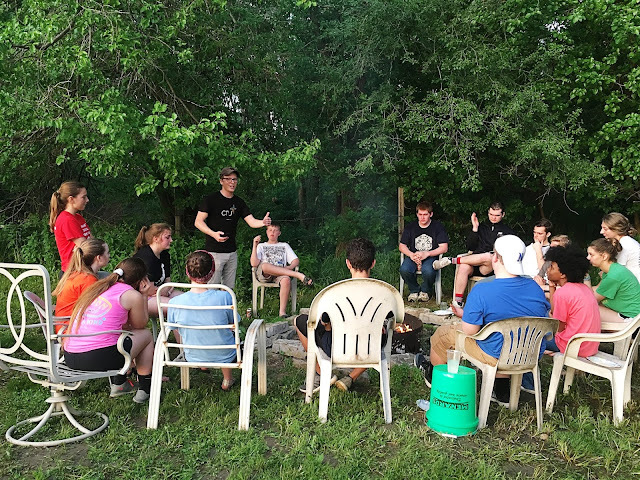 The evening was a combination of outdoor activities and games, hot dogs and s'mores over the fire, and a challenge from God's Word for the students to take as they enter into their summer routines. We are excited for what God will do in the lives of students over the summer months! The students are going through a nationwide discipleship training called "Summer Connect". We're thankful for our volunteers, and also our student leaders as they are taking leadership in this summer program. 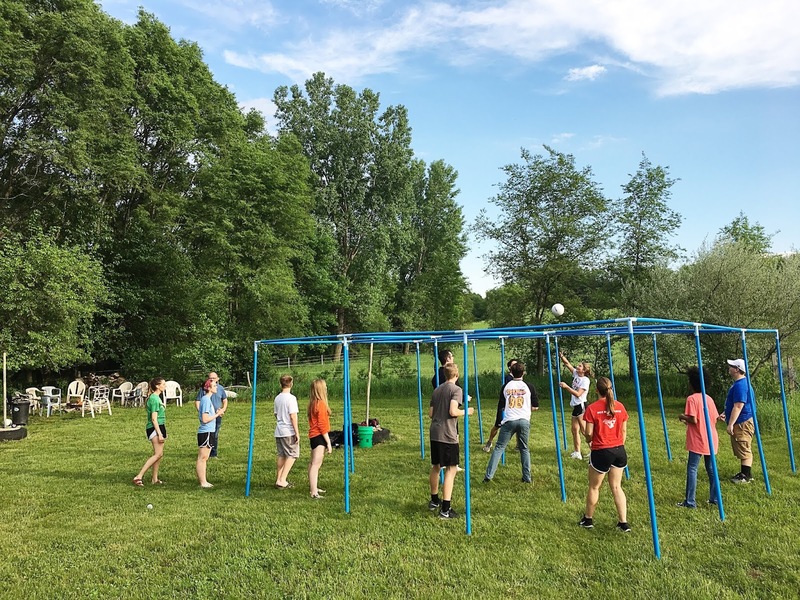 Please pray for each student who will be impacted to follow Jesus more closely, and who will be developing a heart for serving others ... all within an atmosphere of fun and connection with each other throughout the summer months. The summer months can be a powerful time of training and gearing up for a very fruitful new school year in the fall. January 31st was a big day for us with Cru Omaha, and also together with our church, Citylight Omaha! Together, we hosted William Green to come for some assemblies at several high schools in the Omaha area. Our first assembly began at 8 am at North High with about 250-300 students. They were captivated by Wm Green's story of overcoming adversity and the way he illustrated his points using strength demonstrations. 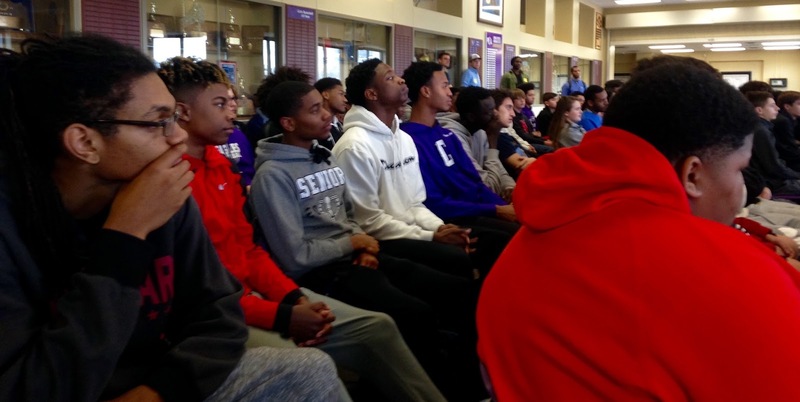 Next were similar assemblies at Central High with about 200 invited athletes attending, and Northwest High with about 500 from selected classes attending. In each of the assemblies Wm Green challenged the students to bring the biggest student they could find to the evening assembly and they would get a prize if he couldn't do the push up with that student on his back. So, with that challenge, the promise of free pizza and hearing the rest of his story, he invited students to the evening event at North High School. We were hoping for more than the roughly 200 students and 50 adults in attendance in the evening, but yet, it was a great evening! The biggest student was from Central High and was almost too heavy for Wm Green to push up. But on the third try, he raised the student all the way up which gained him a lot of respect from the students, particularly the athletes! The students were very attentive as Wm Green shared how he came to know Christ, explaining the gospel in very clear terms. At the end he invited students to raise their hands if they were ready to place their trust in Christ. Then with a last challenge he asked them and others to stand to indicate publicly that this was their desire. Praise God, about 35 students stood! And although he didn't ask them to come forward, when he said he was going to lead them in a prayer to receive Christ, many of them did walk forward anyway. It was a holy moment and a great climax to a great day! 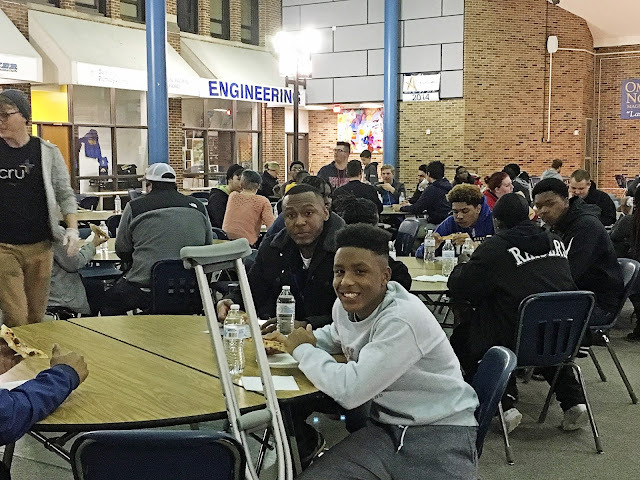 Later, it was a privilege to serve pizza, and to meet some of the students in the cafeteria area at North High. Each student in attendance was given a flyer inviting them back the following Tuesday for our first Cru meeting on the North High campus for more free pizza and a follow up in what it means to follow Christ.